From the Green Mountains of Vermont, where our family farmers are tending the goats and cows, Vermont Butter & Cheese Creamery’s artisan techniques produce the finest Goat Cheese, Crème Fraiche and European-style Cultured Butter in the country. 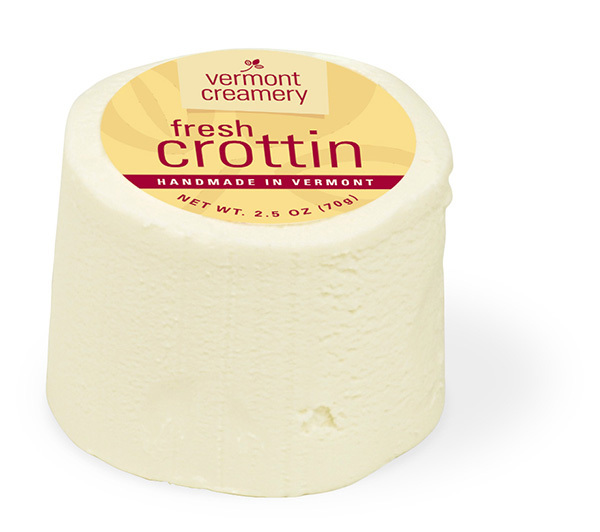 For over 26 years, Bob and Allison have been creating new cheeses, like Bonne Bouche and Cremont, as well as continuing the tradition of fresh chèvre, that was the start of Vermont Butter & Cheese Creamery. We support 30 family farms that produce fresh and high quality goats’ milk to make our fresh and aged cheese. Our cows’ milk and cream comes from a local Vermont Coop of 500 family dairy farmers. All natural and rBST-free.